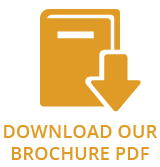 This Group employs over 9.000 people that together provide a turnover of 2.1 billion Euros. Besides its headquarters in Heerenveen (The Netherlands), Glen Dimplex Benelux also has branches in Belgium and Germany. Additionally, Faber exports its products to 24 other European countries. The 4Seasons Premium gas fire is a frameless built-in fireplace with a glass elevator door. At the touch of a button you can open or close this gas fire. 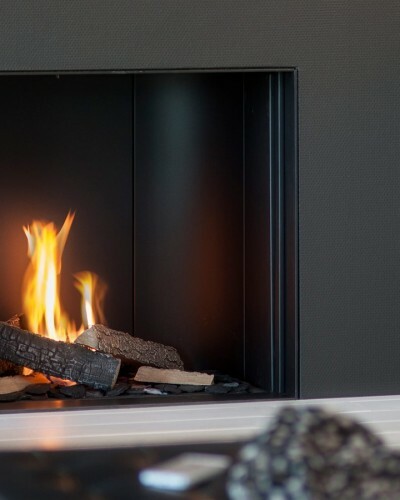 The Faber 4Seasons Premium is equipped with the Step Burner® Ecoboost, an ingenious gas burner that always provides beautiful flames, even when less heat is preferred. It allows you the control the fire effect yourself. The thermostat and energy-efficient ECOboost are ideal: flames lower themselves automatically when the room temperature becomes too high. The fireplace has no pilot flame. At the touch of a button you electrically ignite the fire. The remote control provides maximum operating comfort. 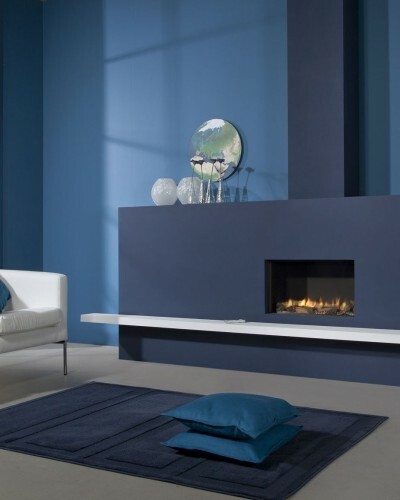 The gas fire Faber Fyn 600 is a shallow, horizontal, frameless built-in fireplace with remote control. This fireplace has a powerful ‘back to basic’ design. Advanced technique and no-nonsense design. 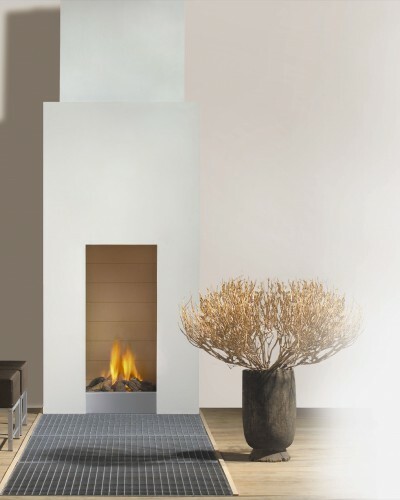 The fireplace is available with an Emberbed Burner®, a curved tube burner provides a surprising ‘out-of-the-box’ fire. The interior can be a log set or white carrara pebbles. 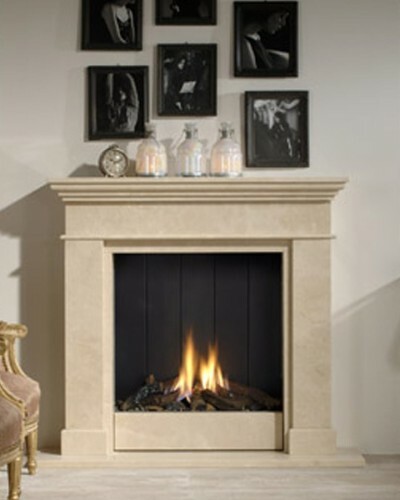 The Faber Straight Frameless is a modern built-in gas fire with a clean-cut look. The high design of the Faber Straight Frameless makes it ideal for placement between 2 windows or on a small wall. Thanks to the Log Burner, this fireplace provides a cosy and realistic fire image. Faber’s Log Burner has a fire image that concentrates itself in the centre of the fireplace. This creates a fire image that can be compared to a campfire. The Faber Straight Frameless comes standard with a remote control, laminated back wall and log set.